Interesting. Since you have the setup ready, would you please also do another test? 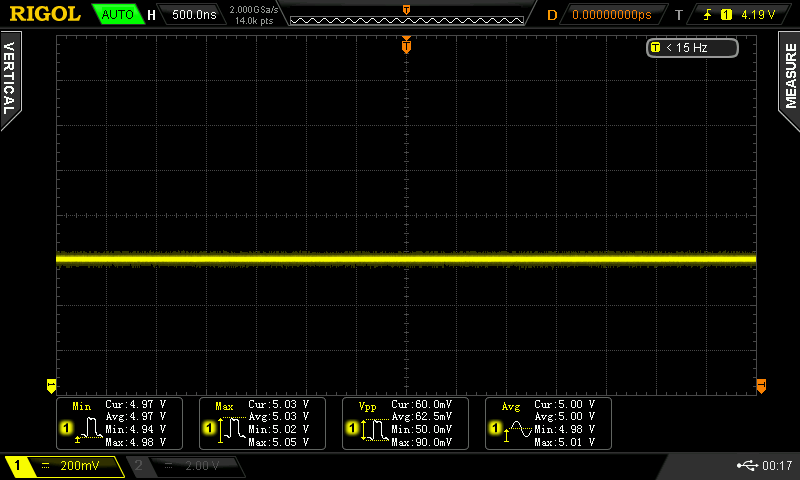 Play a 1 kHz sine wave at a good volume and measure the spectrum and the distortion caused on the output by the different power supplies, instead of measuring the noise on the input supply. Of course, to get a good reading you should connect both channel of the analog output to a proper resistor, to create a regular load (10 kOhm for the analog line out of the DAC, suitable for an audio amplifier). This test I suggested you has never been done elsewhere (I searched) and I think it could be very useful. we did this kind of test already with our own HiFiBerry DAC. However, we did not document it here. There was a very small impact on THD+N. When we get some time again, we will publish those results. Even with the worst power supply, THD+N was still below 0.006% (usually 0.004%). However, other sound cards might perform different. Therefore it is risky to say that in general there is only little impact. I’m trying to make a little “music box” using a 5v amplifier and a couple of small passive speakers. 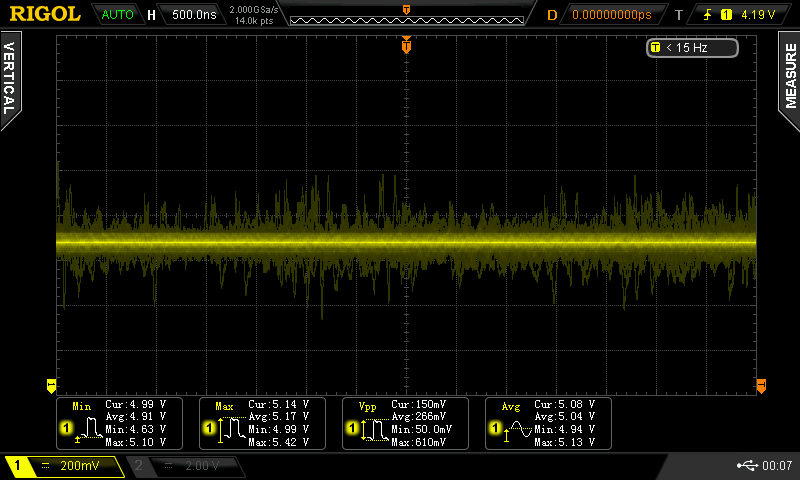 When I use the same power supply for the raspi and the amplifier, the noise introduced is huge. Could your dac be a solution? of I must use independent power supplies for the amplifier and the raspi? there are many possible noise sources. The DAC itself will not solve this problem. You should have an amplifier that is relatively resistant to different noise sources. Therefore, even an additional power supply might not fully solve your noise problems. There is no easy way to say what will work best. It needs an analysis of all parts and the potential noise sources. If you’d be inclined to test it and post your results, I could send you a Pi Power evaluation sample. I sell them on Tindie, and I believe they’re an excellent solution to the problem. It has a 2.1mm barrel connector and accepts 6-15 VDC and will generate up to 2A @ 5V with 25 mV P-P ripple (when the input is > 9V. 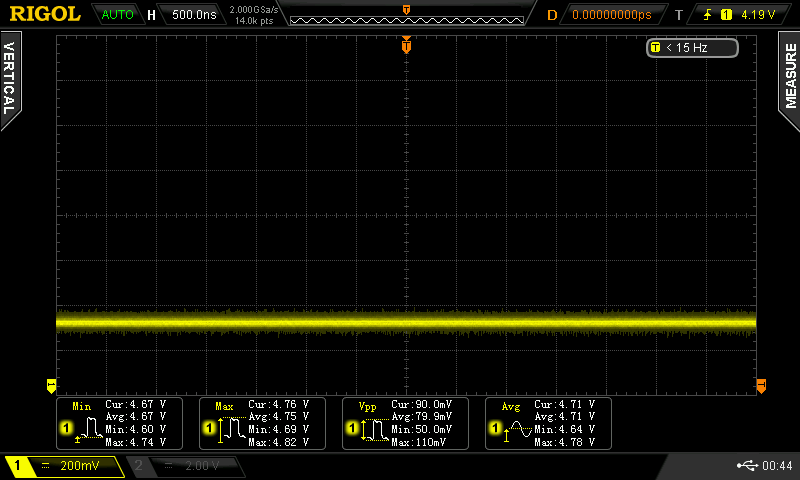 Below that the ripple rises up to 45 mV @ 6V in). While this does mean you still have to come up with a DC power supply, the problem of finding one with such a wide range and with reduced current requirements (at 12 volts a Pi with WiFi takes less than 300 mA) and – most importantly – no voltage regulation requirements (apart from 6-15 VDC) vastly simplifies the problem.